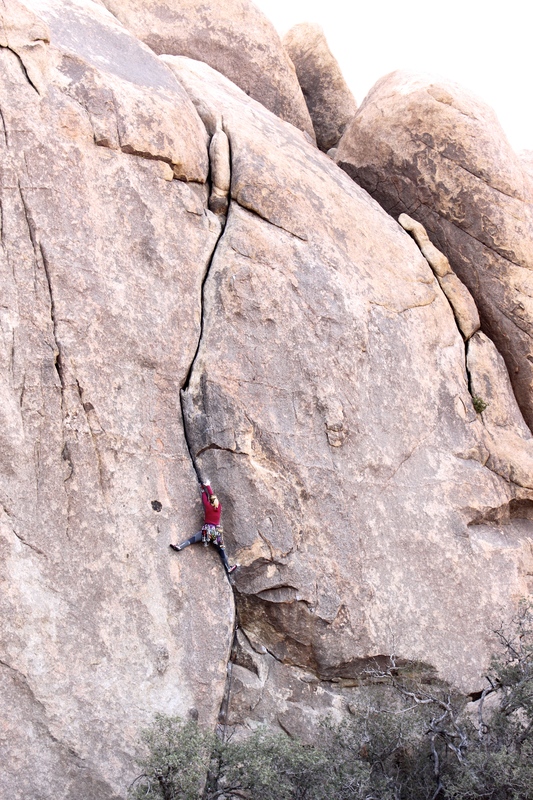 I claw my way over the final bulge and collapse onto the belay ledge. “SAFE!” I yell when I catch my breath. Must get fitter. I’m exhausted, the meat grinder I’ve been forcing my hands into for the last 40 meters has nicely re-opened yesterdays wounds. My knuckles proudly dribble blood as if to say, “no pain, no gain!”. A welcoming breeze catches my face as I begin to haul up the rope. Gazing out into the desert I notice that my cracked lips are smiling and all of my numerous worries seem very far away. A small corner of the playground. 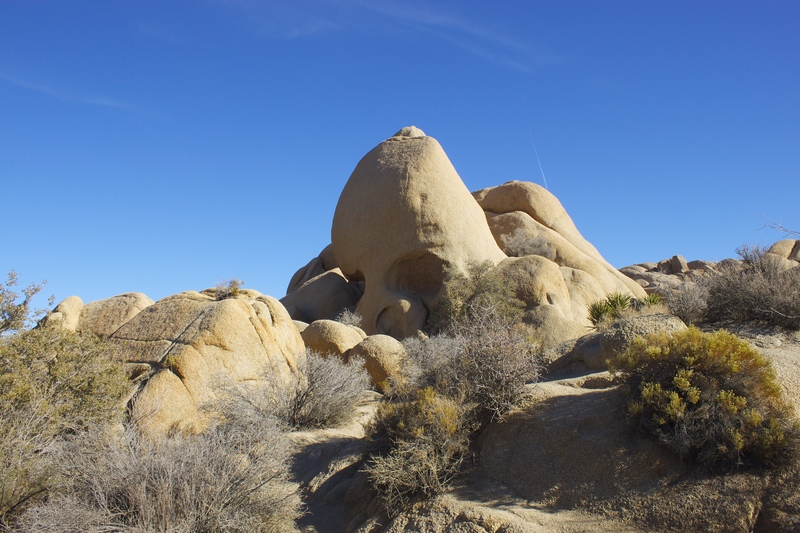 Skull Rock nestled amongst the boulders. 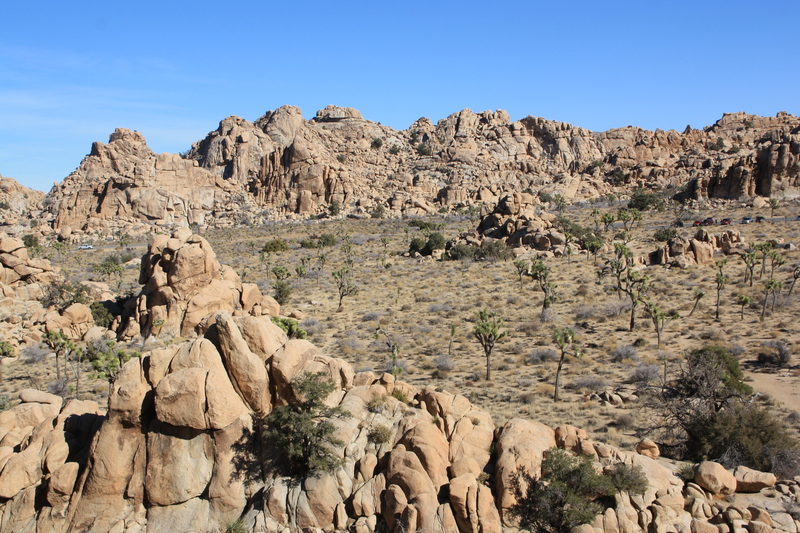 As far as I can see, dollops of golden granite are littered in piles as if scattered there by giants. It’s hard to believe that weathering is the cause of these odd formations. 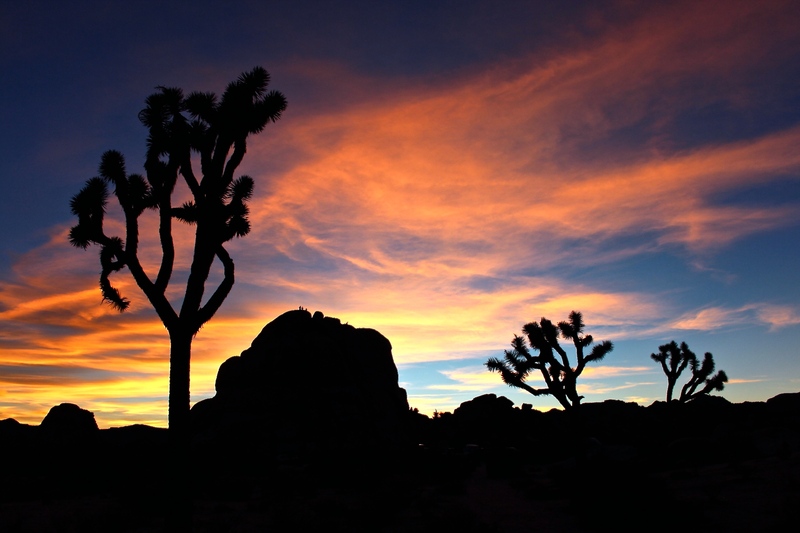 Out of the sand grows the infamous Joshua trees; twisted, old, and wise. Between them lie the odd barrel or cholla cactus and some smatterings of dried grass. All grow slowly, silently enduring the year-round, harsh climate. 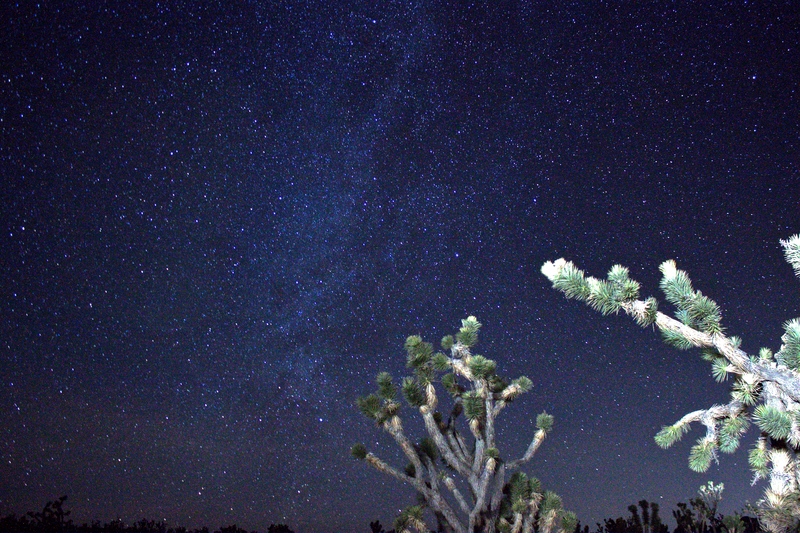 Everything about Joshua Tree emits an uplifting aura, perhaps because its so dazzlingly bright. It’s also breathtakingly beautiful. The views alone could cure a broken spirit. 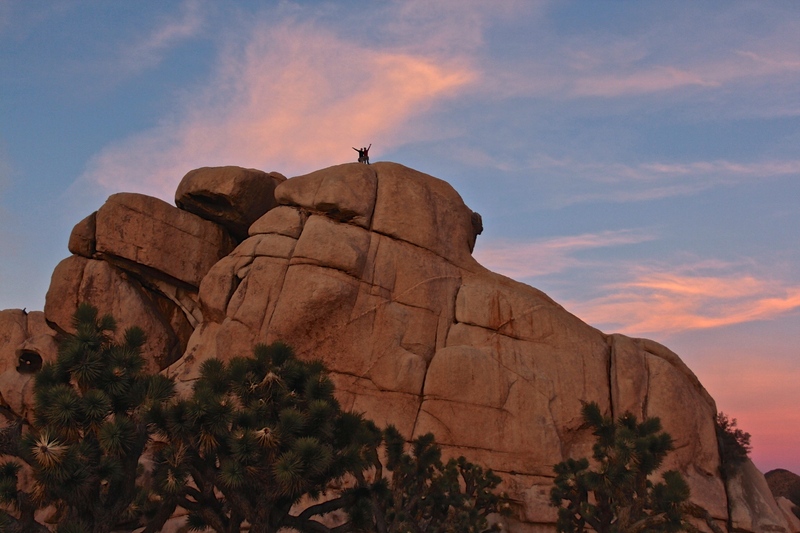 Despite having visited many times, Joshua Tree never fails to delight me. It upsets me slightly at the negativity it sometimes receives from visiting brits whose apparent expectations were not met. If climbing long continuous cracks unlike anything we get in the UK in a stunning area with over 300 days of sunshine per year isn’t good enough, then I am very sorry but I cannot help! 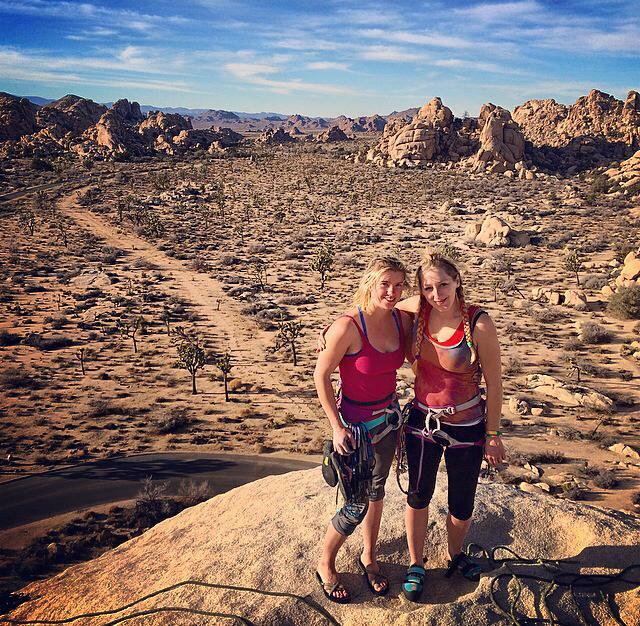 Joshua tree isn’t a place you come for feeling good about how hard you climb. The grades can be (often are) so ridiculously “oldschool” (sandbagged) that you might as well give up caring altogether. Arm yourself with as many cams as you can carry (or own, if you’ve brought a British sized rack, which probably isn’t enough), tape up (if you value your skin) and enter the battle. 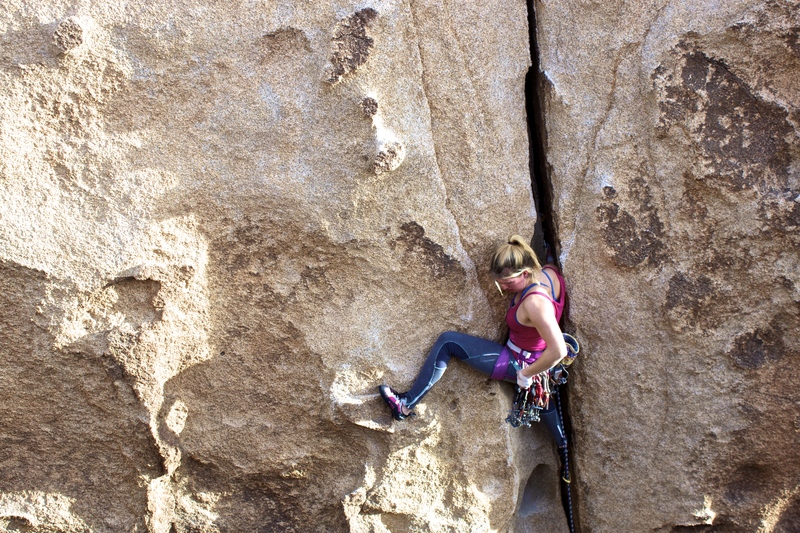 Who cares if that 5.9 felt harder than most 5.11s you’ve done?! Climbing wall fitness wont help you here. I wont be the first or last to say that I’m CRAP at climbing here (I actually struggle to even toprope moves on routes harder that 5.11a/6b+). Yet I love it to no end! Until next time J-Tree! Night time in the desert. Thanks for the photos, Mummy, Jen and Máté! Also Máté and Jen have a new blog which is ace. Check it out here for stories from two of the most psyched monkeys in the Rockies!